The primary current challenge in regenerative engineering resides in the simultaneous formation of more than one type of tissue, as well as their functional assembly into complex tissues or organ systems. Tissue–tissue synchrony is especially important in the musculoskeletal system, wherein overall organ function is enabled by the seamless integration of bone with soft tissues such as ligament, tendon, or cartilage, as well as the integration of muscle with tendon. Therefore, in lieu of a traditional single-tissue system (e.g., bone, ligament), composite tissue scaffold designs for the regeneration of functional connective tissue units (e.g., bone–ligament–bone) are being actively investigated. Closely related is the effort to re-establish tissue–tissue interfaces, which is essential for joining these tissue building blocks and facilitating host integration. 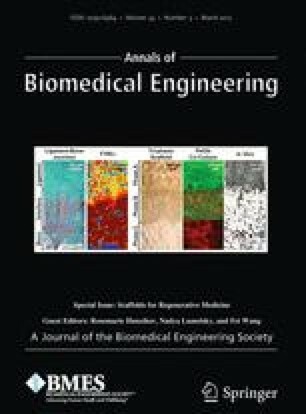 Much of the research at the forefront of the field has centered on bioinspired stratified or gradient scaffold designs which aim to recapitulate the structural and compositional inhomogeneity inherent across distinct tissue regions. As such, given the complexity of these musculoskeletal tissue units, the key question is how to identify the most relevant parameters for recapitulating the native structure–function relationships in the scaffold design. Therefore, the focus of this review, in addition to presenting the state-of-the-art in complex scaffold design, is to explore how strategic biomimicry can be applied in engineering tissue connectivity. The objective of strategic biomimicry is to avoid over-engineering by establishing what needs to be learned from nature and defining the essential matrix characteristics that must be reproduced in scaffold design. Application of this engineering strategy for the regeneration of the most common musculoskeletal tissue units (e.g., bone–ligament–bone, muscle–tendon–bone, cartilage–bone) will be discussed in this review. It is anticipated that these exciting efforts will enable integrative and functional repair of soft tissue injuries, and moreover, lay the foundation for the development of composite tissue systems and ultimately, total limb or joint regeneration. Associate Editor Fei Wang oversaw the review of this article. This work was supported by the National Institutes of Health (R21-AR056459, R01-AR055280, AR059038), and the New York State Stem Cell ESSC Board (NYSTEM C029551). Khanarian, N. T., M. K. Boushell, J. P. Spalazzi, N. Pleshko, A. L. Boskey, and H. H. Lu. FTIR-I compositional mapping of the cartilage-to-bone interface as a function of tissue region and age. J. Bone Miner. Res. 2014. doi: 10.1002/jbmr.2284.